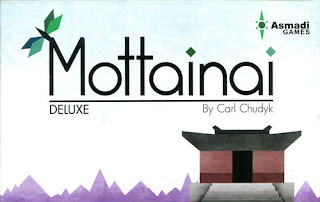 New in from Asmadi Games is Mottainai, a successor in the Glory To Rome card game line. Mottainai is Japan refers to wastefulness - "don't waste, use everything: every little thing has a soul". 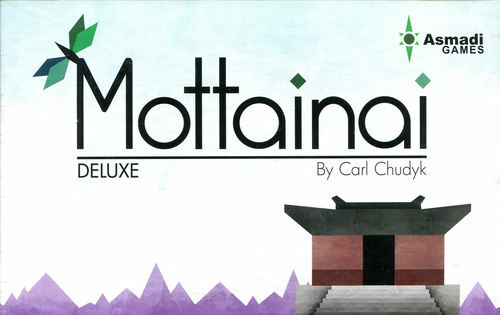 In Mottainai each player is a monk in a temple, creating works to display and sell to visitors. Completed works can be displayed in your Gallery to train your helpers, or in your Gift Shop to allow you to make sales. In the end, the winner will be the player with the most valuable completed works, sales, and back orders. To get there, you will need to perform tasks, hire helpers, collect materials, and manage to find some time for prayer. For Smash Up and Munchkin fans what could be better than combining the two cards games. New in from AEG is Smash Up Munchkin. 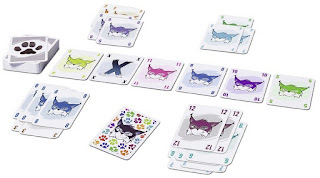 Smash Up is the card game where each player smashes 2 weird factions together and tries to crush their opponents. Now you have the Munchkin races and classes such as Orcs, Halflings, Clerics, Dwarves, ect. to throw in the mix all as factions with different powers. 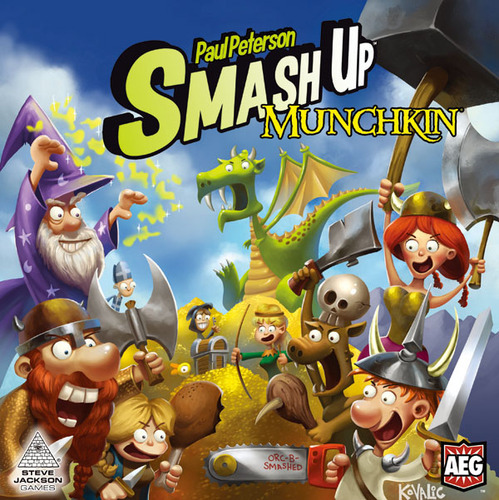 Smash Up Munchkin comes with 8 Munchkin factions that can be played as a standalone game or combined with existing Smash Up sets. Additionally, there are 2 new card types - Monsters that lurk around the bases, and Treasures that give you new rewards when you smash a base. 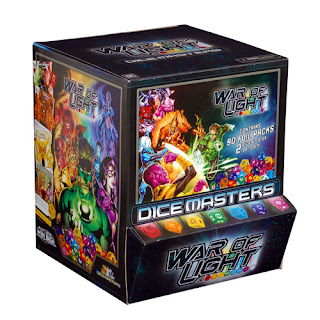 The next in WizKids' line of DC Comics Dice Masters is War Of Light. 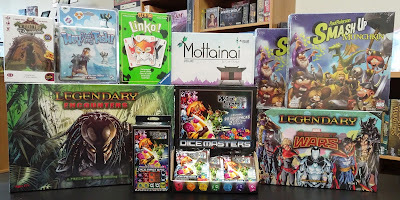 Arriving are both the 2-player starter set and the dice and card foil expansion packs. 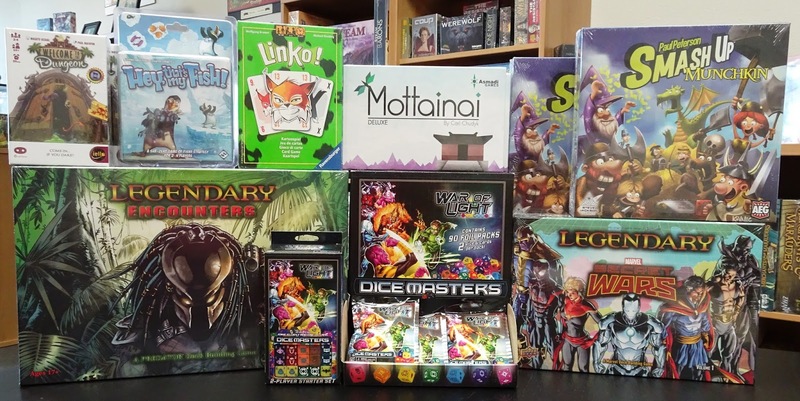 Dice Masters is a collectible 2-player dice-building game. 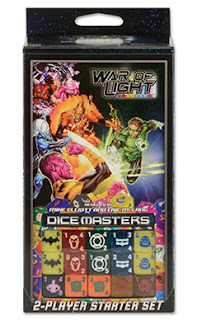 Each player takes the role of masterminds directing the actions of a team of powerful supers (represented by dice) to battle each other. Each turn, you’ll roll your dice to see what resources you have available, buy dice, send your team members into the field, and then strike at the enemy mastermind. In from Upper Deck is Legendary Encounters: A Predator Deck Building Game, based on the movies Predator and Predator 2. 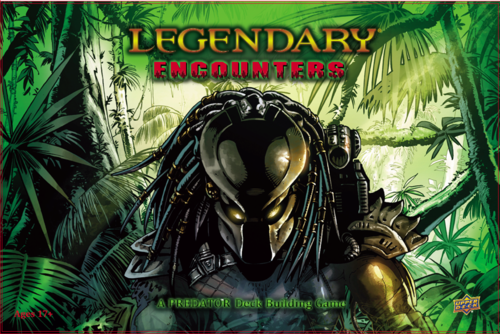 Legendary Encounters: A Predator Deck Building Game is a semi-cooperative game. Players will take on the roles of bot Predators, hunting their human prey, and human strike teams who are hunting the ultimate hunter. Play as a Predator and compete with other players for the most trophies or play as the humans and work together to complete your mission objectives. 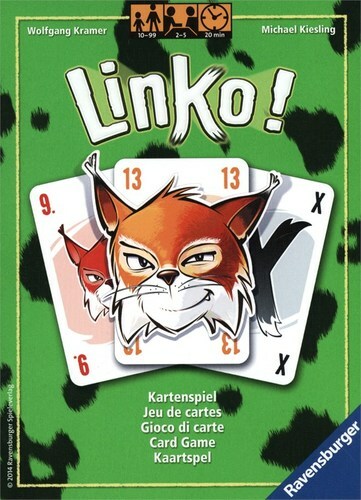 In from Ravensburger is Linko, an action-packed card-snatching card game for 2 - 5 players. 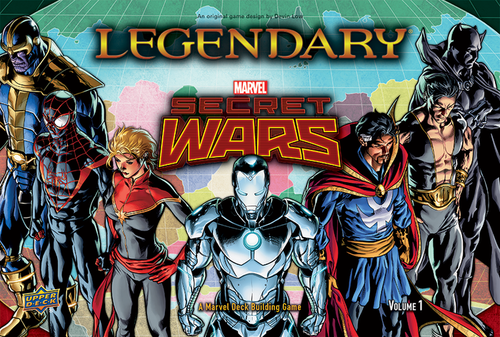 Adding to their Marvel Legendary line is Legendary: Secret Wars, the second big box expansion from Upper Deck. Players can work both with and against other players to defeat the various Battleworlds while laying waste to planet Earth! The game features playable characters from the Illuminati, Cabal and favorites from alternate universes including Black Panther, Dr Strange, Namor, Miles Morales, Captain Marvel and Old Man Logan. Find 14 new Heroes, 6 new Villain groups, 5 new Masterminds and 8 new Schemes. Build your team to battle against the various universes in Battleworld including the Domain of Apocalypse, Monster Metropolis, The Deadlands, Limbo and The Wastelands. For the first time ever, players can now play as the Mastermind against the other players!